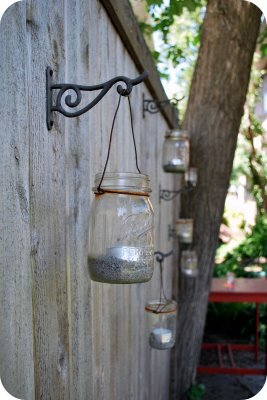 Chapman Place: Are Mason Jar lanterns the new "thing"
While skimming the new Pottery Barn magazine, I noticed that Mason Jar lanterns were peppered through out the magazine. A while back, I found this tutorial on how to make your own lanterns. Way cool. Now I have another thing to look for at the thrift store... Find the tutorial HERE.